Desc: Sterling Silver and goldtone horseshoe bangle bracelet. 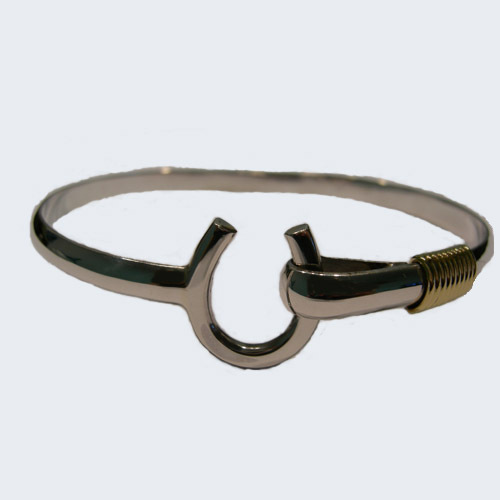 The clasp is fashioned to resemble a horseshoe. The rope design beside the horseshoe clasp is goldtone. The bracelet is heavy gauge.